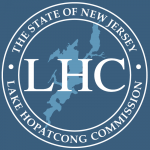 The Lake Hopatcong Commission is a state entity created in 2001 through the Lake Hopatcong Protection Act. The Commission is dedicated to protecting the water quality of Lake Hopatcong and to permanently preserve the natural, scenic, historical and recreational resources of Lake Hopatcong. Copies of the Commission monthly meeting minutes and newsletters can be found on our Archives page. Additional documents and resources can be found on our Resources page. The Lake Hopatcong Commission board members work on a volunteer basis, providing the with countless hours of hard work. We are grateful to the following individuals for their leadership and dedication to Lake Hopatcong. Daniel L. McCarthy III, Esq.